Doctors informed us that though Baba is responding in certain parameters they have reached a dead-end as far as his diagnosis is concerned. 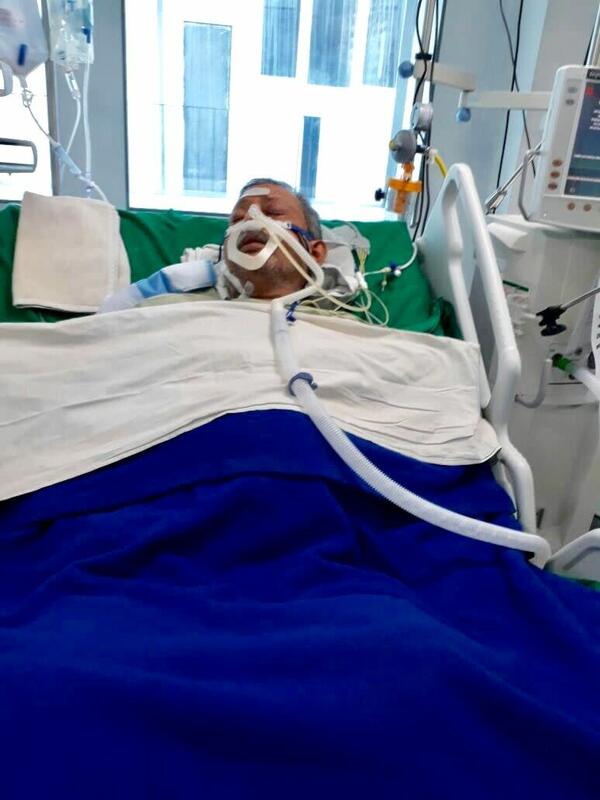 He is being in and out of the ICU often and it's so difficult to see him suffering each day. He is still having difficulty in maintaining his platelets so 5 more cycles of plasmapheresis have been planned for him. Thankfully his kidneys are functioning fully now. From this point, it's wait and watch as even the very able doctors are also clueless how long it will take for him to be fully stable and if this condition is curable or not. I am so-so grateful to all of you for your continued support. The bills are running higher and higher and we are very much dependent on whichever source we can reach. I will update about him more when I find a bit more clarity. Thanks! Though no diagnosis has been made as yet Baba is responding to high dosage of steroids and plasmaferesis. His creatinine has come down and platelets are better. Doctors are advising to wait and watch. Thanks a lot for the tremendous support. 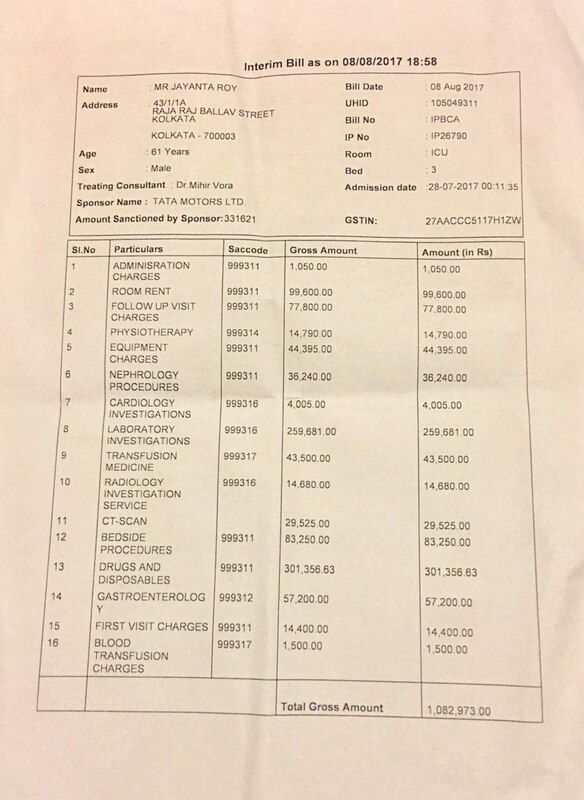 though we are far off from complete recovery and hospital bills are ever soaring still atleast his improvement is showing us some hope to continue our efforts in reviving him.